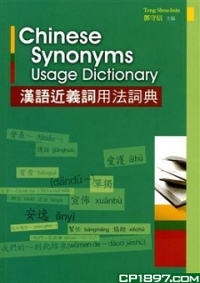 Designed for students at the upper intermediate to advanced level, the Chinese Synonyms Dictionary is an incredible resource for students. The book includes over 700 synonyms and serves as a good resource for synonyms, but it also makes a great vocabulary book! If you know where to get this resource in the United States, please send an email to criticallanguagementor@gmail.com. Right now we have only been able to find this resource abroad. In addition to these online reference materials, check out our list of online dictionaries, a necessity for any language learner.